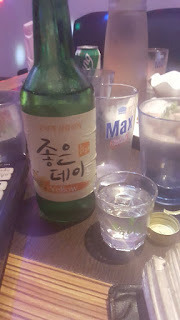 If I were to name one aspect of Korean culture that surprised me the most, it would be how many rounds of food and drinks that can be squeezed into one night. 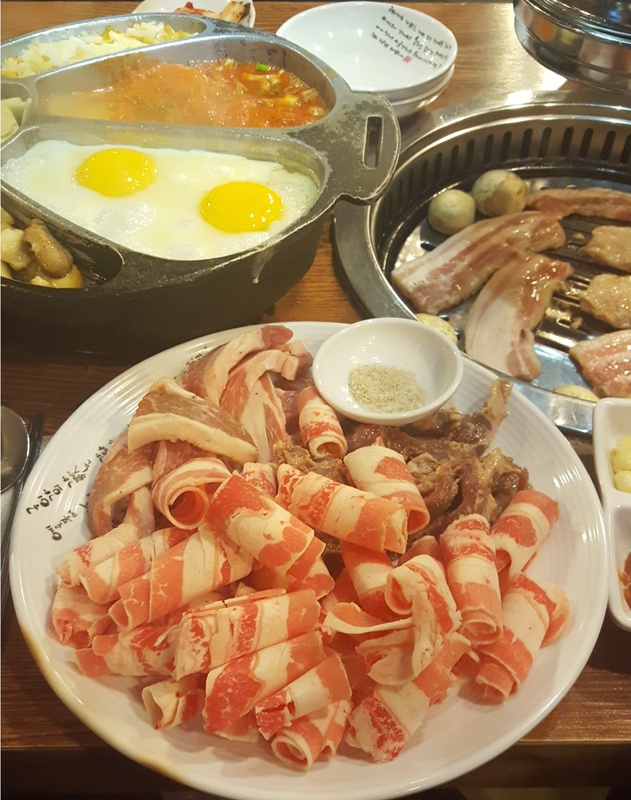 Given that a majority of the population in Korea was relatively thin, I was amazed by how much food they can actually consume. 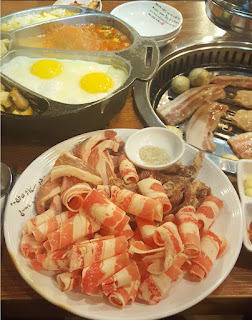 We started off the night with Korean BBQ, at a restaurant called GuiGa BBQ. Of course, dinner didn't end with just meat, we hit up a spicy rice cake joint and chatted over a hefty pitcher of beer, and then finally crashed at a karaoke spot. Of course, round 3 of dinner can't be forgotten because though drinking culture is huge in Korea, drinking responsibly is important. 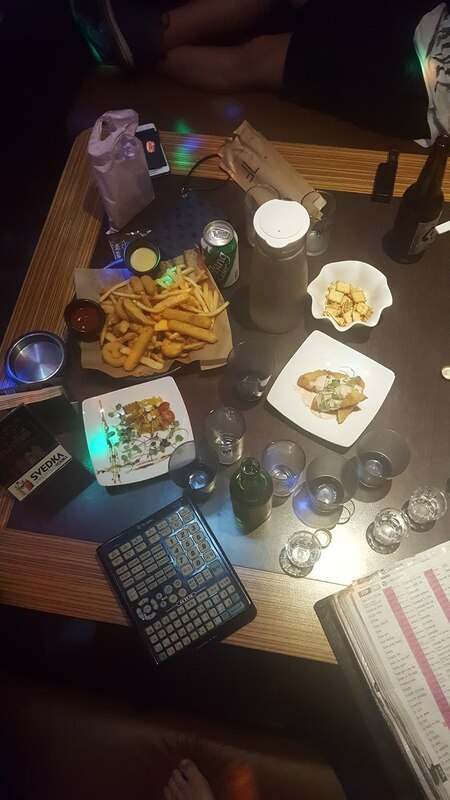 Thus, we were required to order food with the alcohol.